There were momentous moments today…. ….in the hanging of fresh greens around the door and adding deep red bows that make me smile when I see them. ….in the first playing of Christmas music in the house this season and the place in my heart that let it in. ….in the visit from a friend who seldom hears from me but hasn’t given up on me. ….in the success of a high school student who I mentored in photography for her senior project. Caitlin, you DID learn how to see and your images are beautiful. ….in the satisfaction of clean laundry. ….in the lightness of Grace’s voice that today, contained hope. ….in hearing Steven’s voice on the phone, full of balance. 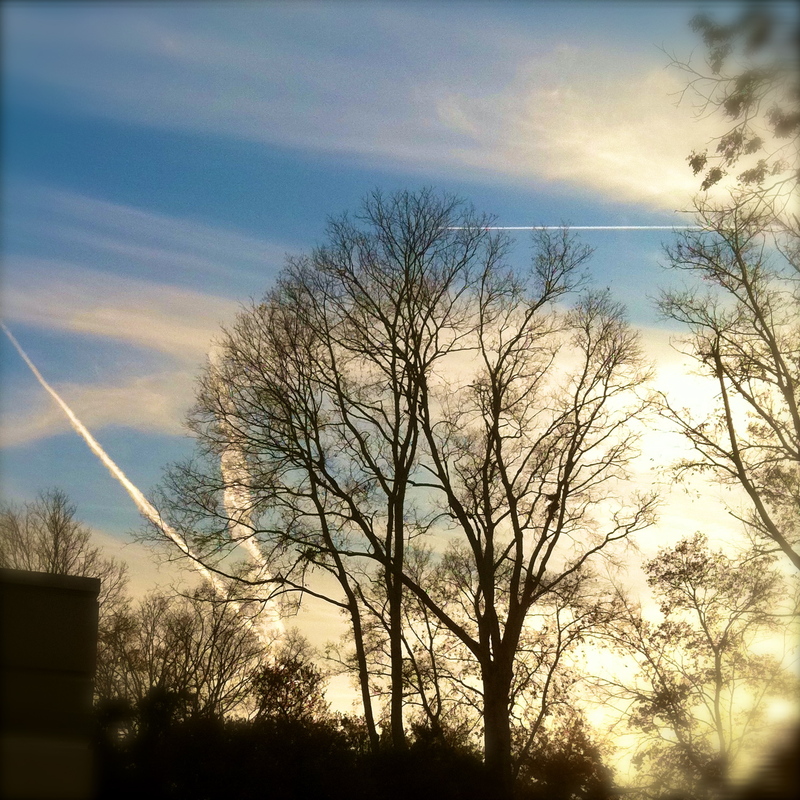 ….in looking up and appreciating the stark silhouette of winter trees against a blue sky crisscrossed with contrails. ….in accepting that small moments are, indeed, capable of being headliners. Blessings, friend. Hold on to those moments. just as the bad and sad can build a mountain the good and sweet can create wings to lift you over. Be lifted each day my friend.